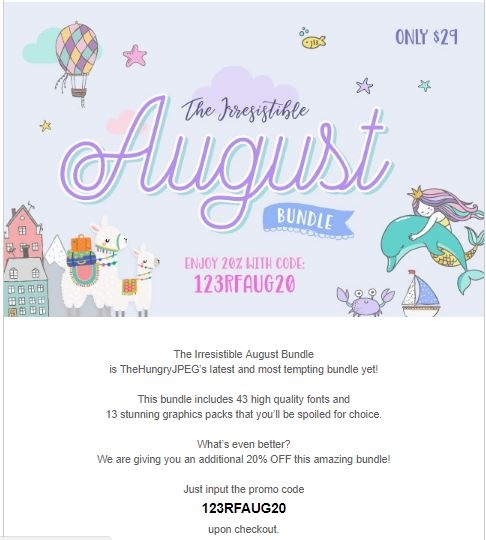 tammy walker This offer is valid for the store "thehungryjpeg.com", it is easy to use, the "123RFAUG20" coupon is applied to the shopping cart, and you get 20% discount on the Irresistible August Bundle in The Hungry JPEG, to apply the coupon does not require a minimum amount, do not miss this offer. 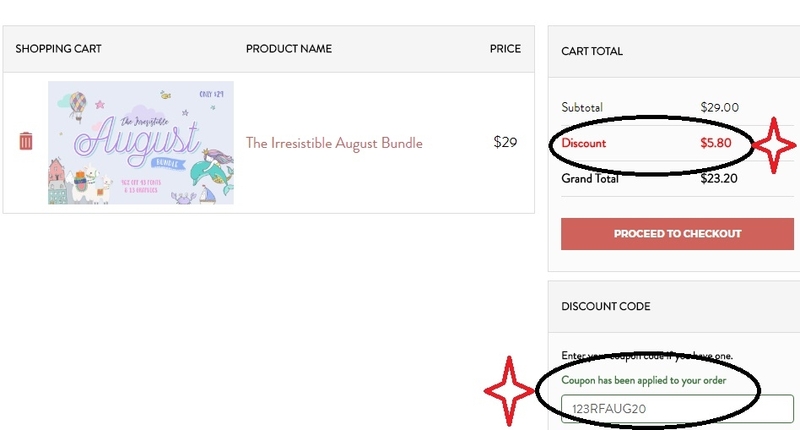 Mia Yung I am validating that this deal works as described. 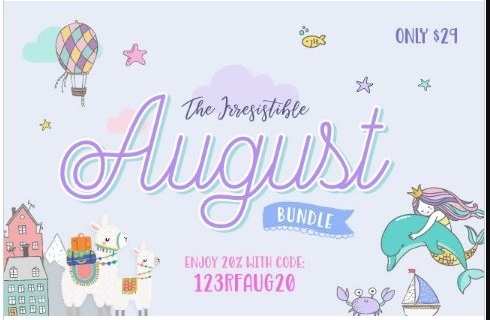 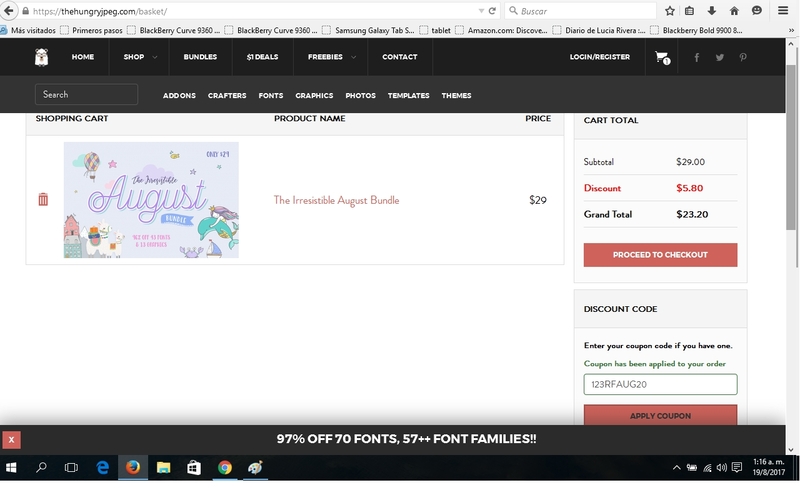 Get 20% Off the Irresistible August Bundle at The Hungry JPEG with the promotional code 123RFAUG20 at checkout. 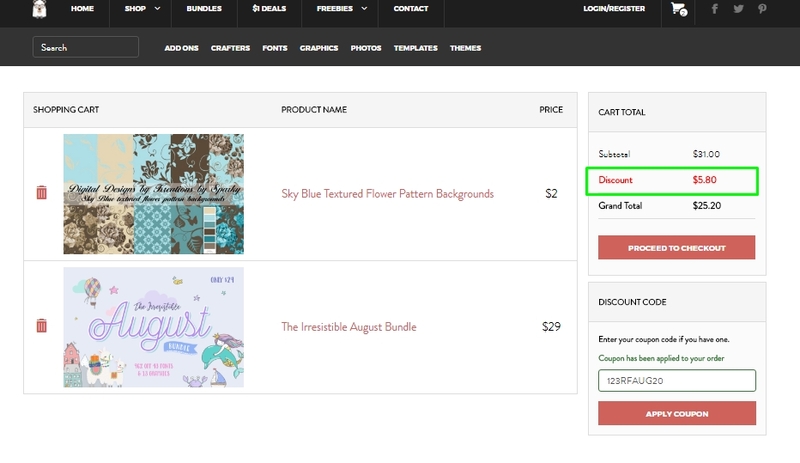 Rifkhan Add this creative and awesome bundle to your cart and proceed to checkout where you can enter this promo code code to get 20% off this $29 bundle.